Ballet Folklórico de Los Ángeles (BFLA) was founded in 2011 by Kareli Montoya. 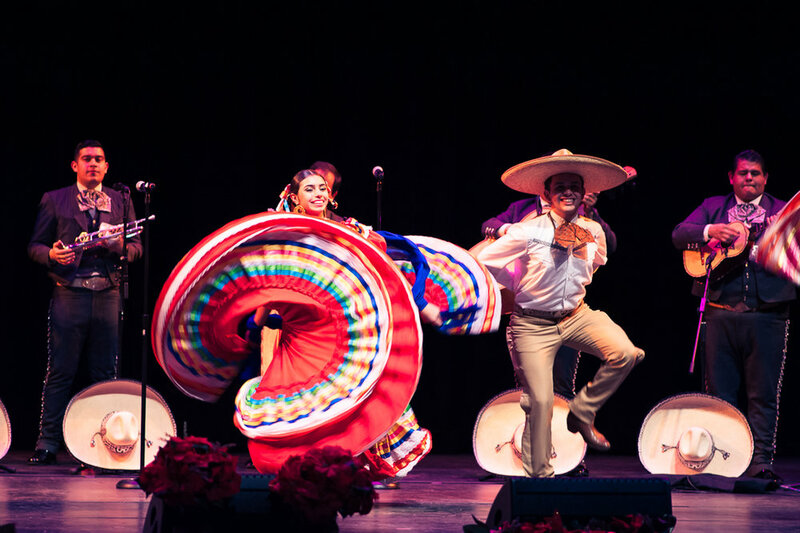 Though young, the dance company has already distinguished itself as the nation's premier Mexican folk dance company. They have performed in world-class venues such as the Anaheim Convention Center, Orpheum Theater, Nokia Theater, Greek Theater, John Anson Ford Amphitheater, Santa Barbara Bowl, Valley Performing Arts Center and the Staples Center, among others. 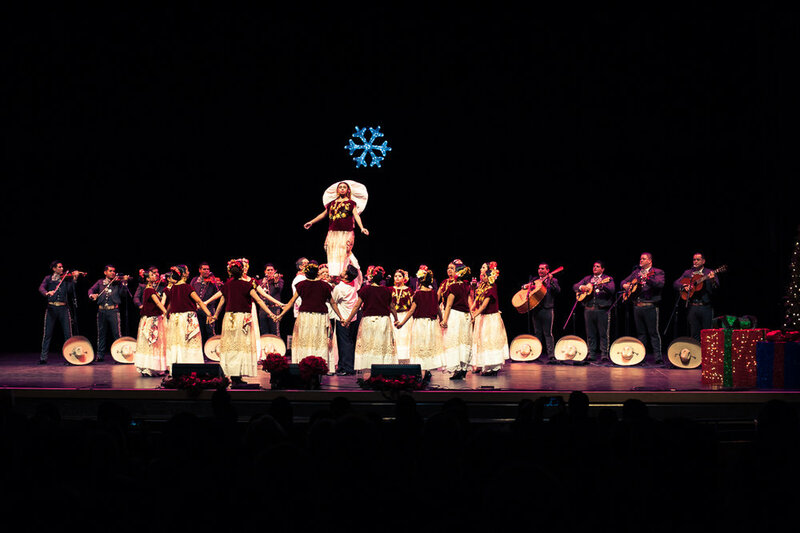 The dance company has worked with Grammy-Award-Winning Artists such as Lila Downs, Pepe Aguilar, Mariachi Divas and Mariachi Los Camperos. BFLA has also been accompanied by Mariachi Nuevo Tecalitlan, world-famous Mariachi Vargas and Mariachi Garibaldi de Jaime Cuellar. 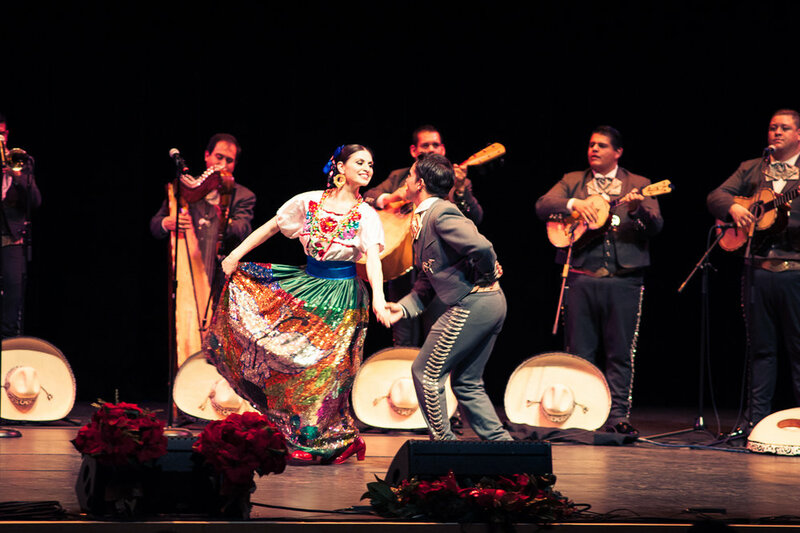 Ballet Folklórico de Los Ángeles has shared the stage with bands celebrities such as Ana Barbara, Morrissey, Ruben (Cafe Tacuba), Las Cafeteras, Beatriz Adriana, Paquita la del Barrio, Empress Of, and Armenian pop star Lilit Hovhannisyan. This amazing dance troop was the the first folklórico company in the country to accompany a Symphony; the San Bernardino Symphony Orchestra and the Marina del Rey Symphony orchestra, both conducted by Frank Fetta. In 2016, BFLA was featured in the cover of National Geographic Traveller UK. 2017 was a year full of surprises. BFLA collaborated with Mitu Network on a Mariachi Remake of Beauty and the Beast's "A Tale as Old as Time," featuring Mariachi Garibaldi de Jaime Cuellar and BFLA's Director, Kareli Montoya. The video went viral on Facebook at 15 million views (and counting)! They recently had the opportunity to work with Disney Studios on a magical performance in celebration of Pixar's new movie, "Coco," at the D23 Expo where they performed on stage with Benjamin Bratt, Grammy Award-Winning Mariachi Divas and the Grammy®-winning Gordon Goodwin Big Phat Band. They also performed at the Coco Premiere at El Capitan Theatre and on Dancing With the Stars, "Disney Night." BFLA started 2018 with a BANG, performing Coco's Academy Award-Winning song, "Remember Me," on the 90th Annual Academy Awards alongside Natalia Lafourcade, Gael Garcia Bernal and Miguel. Do not miss a chance the to experience a very unique, colorful and dynamic performance that will take you on a spiritual voyage to Mexico!